Dry or colour damaged hair? Gone a bit overboard with your hot hair tools? We've all been there, but nobody wants to be. 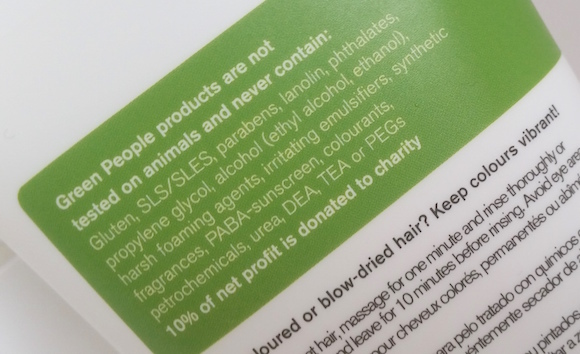 Hello then, Green People's Intensive Repair Conditioner! Green People's Intensive Repair Conditioner is a natural and 91% organic conditioner that is perfect for rejuvenating dry and/or damaged hair. 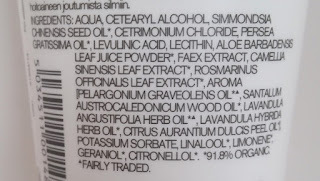 It doesn't contain any SLS/SLES, parabens, alcohol (ethyl alcohol, ethanol), gluten, harsh foaming agents, colourants, DEA, TEA or PEGs, petrochemicals, lanolin, propylene glycol, PABA-sunscreen, synthetic fragrances, irritating emulsifiers or phthalates. On top of that, 10% of their net profit is donated to charity! It helps to boost shine whilst nourishing the scalp and hair shaft and preventing dryness and loss of natural hair oils. It can be used as a regular conditioner as well as a hot-towel hair treatment. Squeeze a tiny amount onto your hand (you only need a bit!) and apply to wet, clean hair after shampooing. Leave in the hair for 1 minute and then rinse thoroughly. If using as a hot-towel hair treatment, wrap the hair in a towel after applying and leave for 10 minutes before rinsing. When I originally reviewed Roots and Rituals Conditioner, I said that I had never used a conditioner that only required such a small amount to cover the hair - until now, anyway. Green People's Intensive Repair Conditioner also only needs a tiny bit to reach every strand, which means that the bottle lasts longer than other conditioners. So with that check box ticked, let's discuss how well it works. Lately my hair has been getting really dry (not to mention falling out like nobodies business - THANKS post-pregnancy hormones! ), so I really needed something to help bring it back to its regular self. This conditioner leaves my hair feeling super soft, smooth and shiny as well as stronger and healthier looking - so basically, it has rescued my hair from looking like a pile of rubbish! The only downside to this Intensive Repair Conditioner is that this does take a little longer to rinse than some other conditioners, and it is also easy to think that you have rinsed it fully to then have a small greasy patch of hair left behind where it wasn't. With that said, rinsing a little longer to get the best results is sooo worth it, so I'm fine with waiting a short while longer. When my niece came over to stay I let her try out this conditioner. Her response was "This smells so good, like lemon meringue!" Personally, I think that it smells more like green tea, but lemon meringue is good too! Either way, it smells great. Overall, I'm really happy with this conditioner. 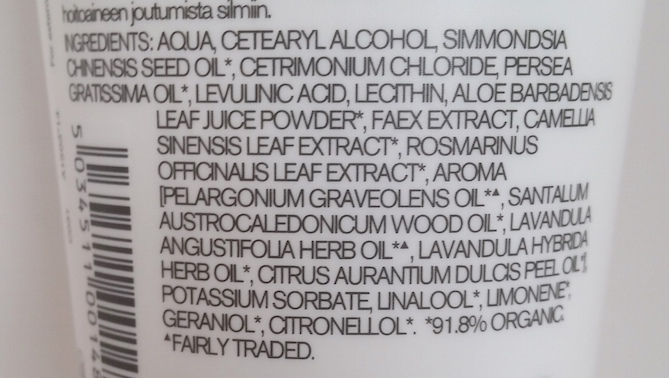 It has brought my hair back to life again and even though it contains less product in the bottle (200ml) than some other conditioners, it stretches much further. I highly recommend giving this a try if you are also in desperate need of some hair-therapy (and even if you aren't!). 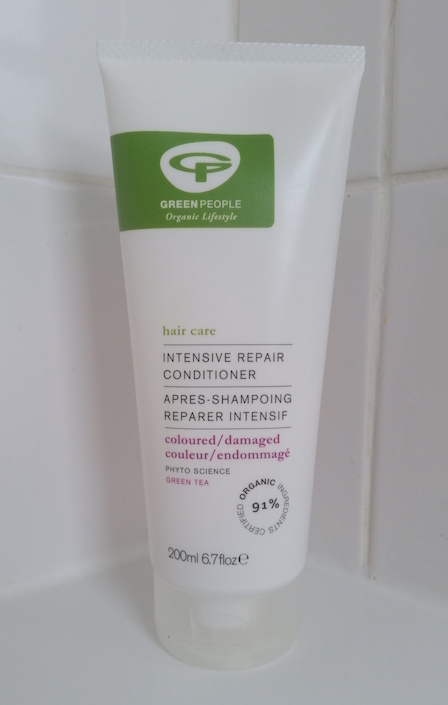 You can purchase a bottle of Green People's Intensive Repair Conditioner for £11.95 from Green People. What are your thoughts on Green People's Intensive Repair Conditioner? How do you fix up dry or damaged hair?